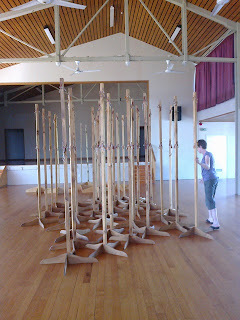 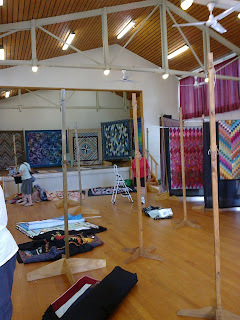 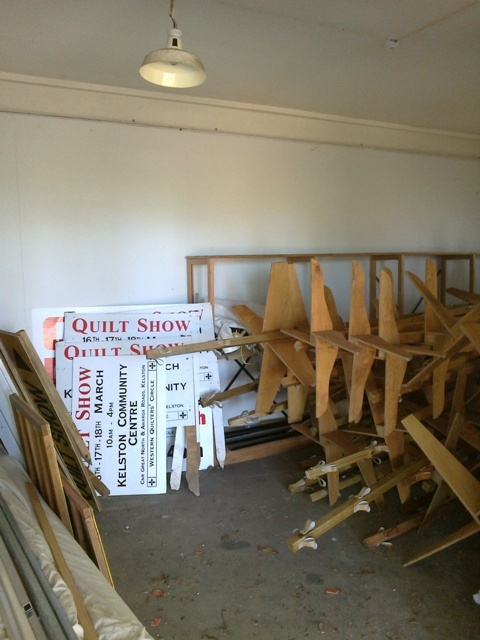 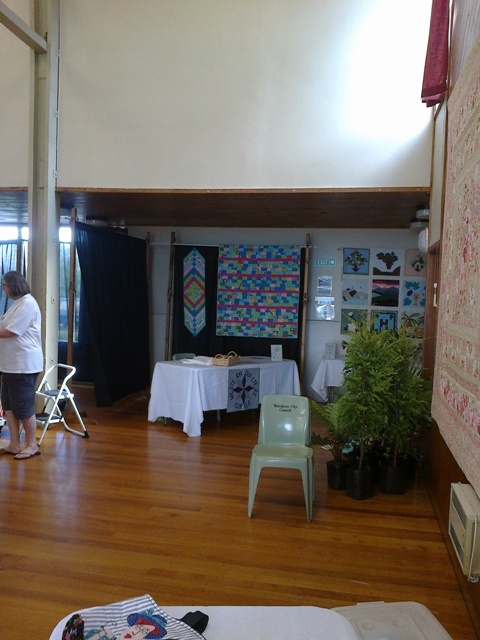 There is a lot of work setting up a quilt show. 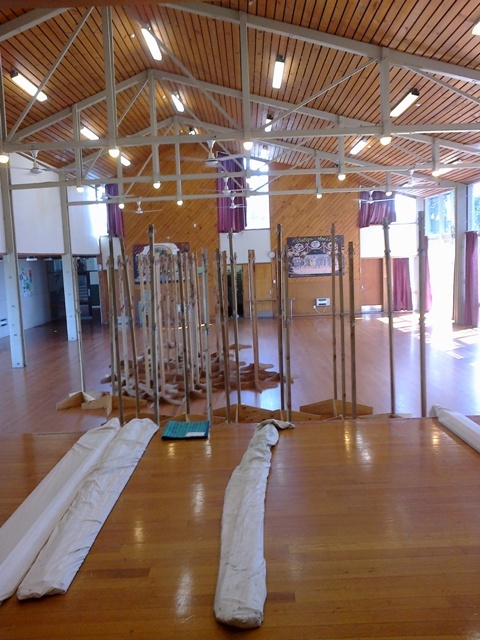 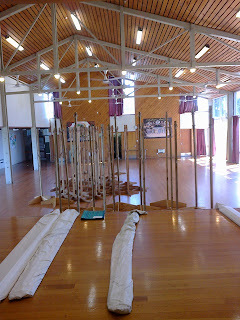 The stands have to be carried up to the hall. 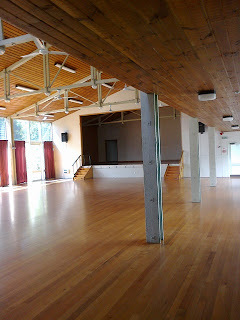 The stands in the hall. 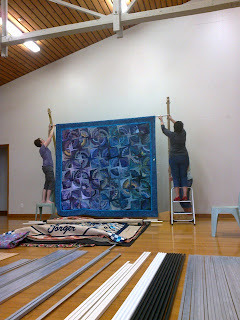 Hanging the first quilt on the stage. 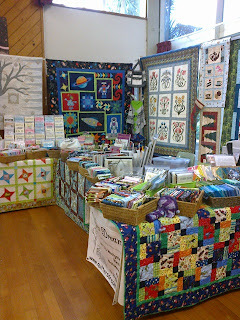 Quilters Dreams one of the 3 merchants. 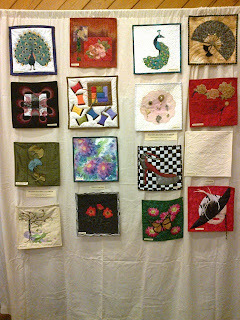 Part of the members 12x12 Challenge.